The Bosch GPL5 5-Point Laser Level is a self-leveling construction laser that projects 5 points up to 100 feet within ±1/4 inch accuracy. 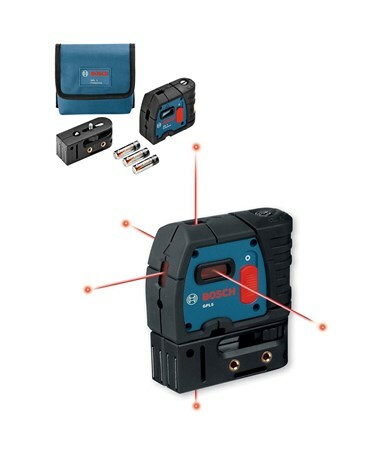 With quick completion of indoor applications, including layout and alignment, the Bosch GPL5 plumb laser provides all you need to efficiently do the job! After turning on the laser instrument, the Bosch GPL5’s self-leveling function automatically compensates for any misalignments beyond ±5 degrees. If it is further out of level, the beams flash rapidly until the point laser is set within the self-leveling range. When the tool is shut off, automatic self-leveling is locked for safe transport. 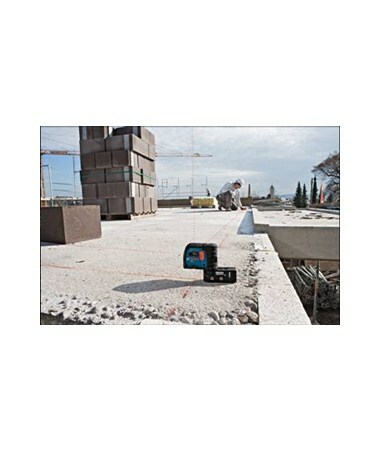 The 5 beams on the GPL5 laser level allow for the accurate transfer and alignment of plumb, level and square points in all vertical and horizontal directions. For easy corner layout, the left and right beams sit at a 90-degree angle. 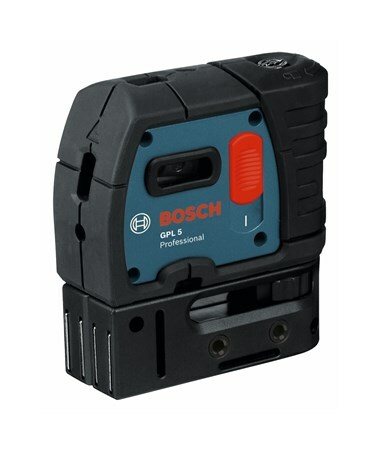 In addition, the Bosch GPL5 is equipped with reference lines built into the housing ensure precise positioning and transfer of points. At only 4-inches tall, the Bosch GPL5 interior construction laser is built to last. There is a strong over-molded housing around the instrument that provides extra protection against potential damage, while its IP5X rating ensures resistance from dust, leaving your laser level to function properly in all conditions. 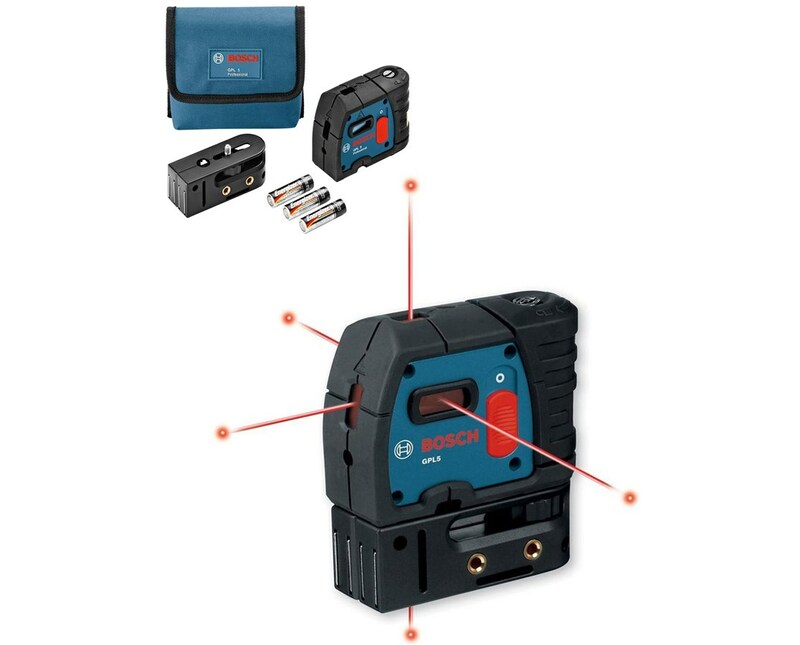 Construction professionals who require an efficient tool for layout and alignment tasks will enjoy the Bosch GPL5 dot laser. With the projection of plumb and level points, as well as setting out right angles, the GPL5 exhibits all the features expected in a superior construction laser. 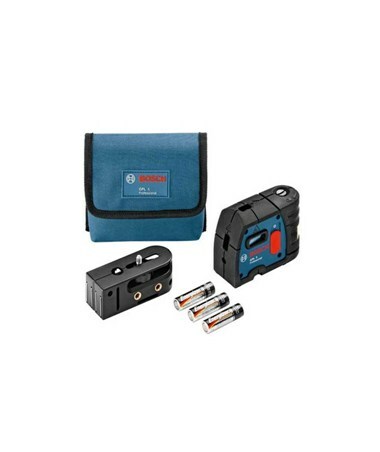 The Bosch GPL5 point laser level is backed by a 2-year limited warranty.